Cookie Chanel owns a vintage clothing shop in Sugar Creek, Georgia. She also "owns" a ghost, Charlotte Meadows, who was murdered, and is the first ghost Cookie encountered. Now Charlotte has decided to stay, offering sassy comments even if Cookie doesn't always like it. She also has a beautiful white cat named Wind Song that appeared one day and communicates in several ways, including otherworldly. Life for this Southern girl has definitely gotten complicated in more ways than one. I really enjoyed this book, so much so that I finished it in one sitting. My attention was caught from the first chapter, and held through the entire book. The plot is nicely done, and there are enough suspicious characters to keep things engaging. While solving Juliana's murder is, of course, the main plot line, there is another - just as interesting - that centers on Wind Song. If you've read any of the previous books, you'll know that the cat just appeared on her doorstep one day. In this book, we learn more about how that happened and somewhat of the origins of the white cat. We are also treated to a nice little subplot involving Dylan and Ken Harrison, a local attorney who is also attracted to Cookie, and while there is no overt action between the two, you understand that there is something going on that could spark a rivalry between them. Only time will tell where it heads in future books. While I'm not really into vintage clothing, I do think the fact that Cookie is interested gives us an insight into her personality. I get that she's got a vintage clothing store, but I don't feel the need to know every detail of everything she wears or buys. But then again, I like the idea that she at least tries to dress well instead of just throwing on jeans and a tee, brushing her hair and considering herself 'ready'. That as well gets tiresome in books, and it's nice to see a protagonist who wants to look nice when she's out and about. When all is said and done, and the killer finally revealed, it comes as no great surprise. since the clues were there all along, but it was still a fun read and that's what really counts. This is the fourth book in the series and can be read as a stand alone, but for myself, I have enjoyed reading the entire series in order. Highly recommended. When Marley McKinney's aging cousin, Jimmy, is hospitalized with pneumonia, she agrees to help run his pancake house while he recovers. With its rustic interior and syrupy scent, the Flip Side Pancake House is just as she pictured it - and the surly chef is a wizard with crepes. Marley expects to spend a leisurely week or two in Wildwood Cove, the quaint, coastal community where she used to spend her summers, but then Cousin Jimmy is found murdered, sprawled on the rocks beneath a nearby cliff. 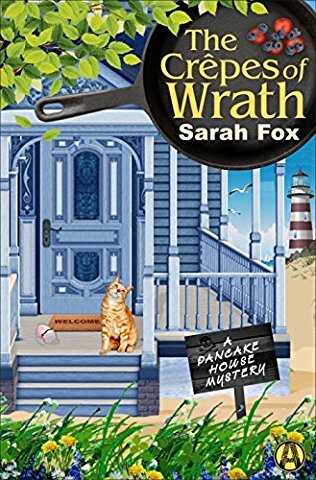 After she stumbles across evidence of stolen goods in Jimmy's workshop, Marley is determined to find out what's really going on in the not-so-quiet town of Wildwood Cove. With help from her childhood crush and her adopted cat, Flapjack, Marley sinks her teeth into the investigation. But if she's not careful, she's going to get burned by a killer who's only interested in serving up trouble. Marley McKinney has taken a leave of absence from her job as a legal assistant in Seattle in order to help out her cousin Jimmy in the seaside town of Wildwood Cove on the California coast while he is hospitalized with pneumonia. She's running his restaurant, The Flip Side, and staying in his home. When Jimmy decides he's had enough and checks himself out of the hospital, Marley thinks her temporary vacation is almost at an end. But what's really at an end is Jimmy, whose body is found on the rocks near his home, and when it's discovered that he's been murdered, she won't be heading back to Seattle as soon as she expected. She also finds a local hanging around Jimmy's workshop and chases him away. Investigating the workshop, she finds evidence of stolen goods and calls the local sheriff, who informs her that Jimmy could have been involved in the rash of thefts in the area. Marley, refusing to believe it, decides that she's going to find out the true culprit and clear her late cousin of any wrongdoing. 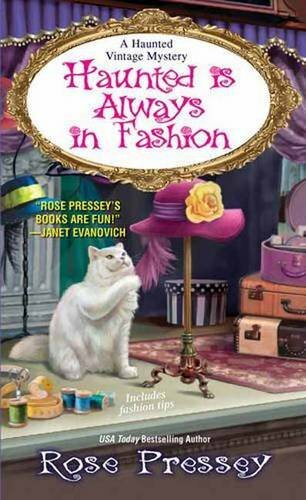 I can't tell you how delightful I found this book. In this first in a new series, Ms. Fox has given us a protagonist that is intelligent and doesn't decide to go snooping around and generally being annoying. Everything she learns - which is quite a bit - she shares with the sheriff, instead of trying to solve the murder on her own and ending up in sorry situations. Sheriff Ray Georgeson, for his part, is neither a bumbling idiot nor a mean-spirited man who treats Marley like he's indulging a child. He listens to her when she tells him something that might be a lead, checks it out, and seems truly concerned about wanting her to be safe. In other words, he's what a sheriff should be: taking every piece of information, no matter how small, and checking to see whether it's relevant or not. Just these two alone make the book worth reading. We watch Marley as she agonizes about going back to her safe life in Seattle, her reasons for wanting to do so, and what she plans on doing with her newfound legacy. But there is also the added character of Brett Collins, the man who'd like to be more than a friend to Marley; her mother, who is neither meddling nor a fool; and Ivan, the tattooed surly chef at The Flip Side. The book is also peppered with others (some nice and some not-so-nice) that I look forward to learning more about as well as those I have already named. When the book is finished and we discover the murderer and the reasons for it, everything comes together nicely and leaves us wanting more. 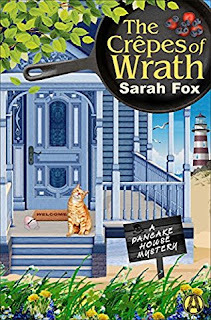 This is truly a feel-good read, and I believe that Ms. Fox has indeed a winner in this series, and I hope to see many more books and revisit the inhabitants of Wildwood Cove soon. Highly recommended. Thanks to a wealthy patron, Kismet's women's shelter, Sunrise Tomorrow, has inherited a run-down mansion. Now the shelter's director, Wendy Newcomb, wants Caprice's decorating expertise. Caprice is happy to help, but when she glimpses a few heated encounters between Wendy and some locals, she fears that Wendy may be in need of protection herself. When Caprice De Luca is hired to decorate Sunrise Tomorrow, a women's shelter, she inadvertently walks in on a heated conversation between the shelter's director, Wendy Newcomb, and the president of the Chamber of Commerce. Once she's been noticed, the conversation stops abruptly and he leaves, Wendy appearing flustered but nonetheless ready to get down to the business of showing Caprice the inherited mansion, and her ideas for decorating it into a warm, inviting place for women to find a temporary safe haven. A few days later Caprice arrives for a scheduled meeting with Wendy and finds the area surrounded by police vehicles and crime tape. 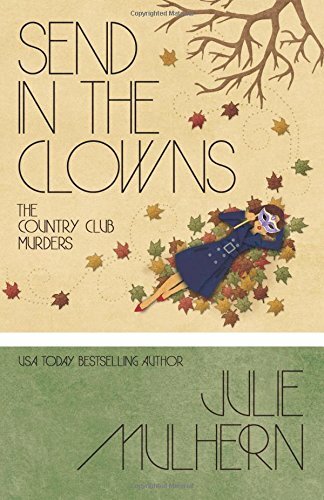 Seeing her friend police detective Brett Carstead, she finds out that Wendy has been found dead, and it looks as if she might have been murdered. Stunned, Caprice tells Brett everything she knows about Wendy and who might have wanted to do her harm, including the little she overheard. While Brett warns her to stay out of the investigation (again), Wendy's co-worker and heir apparent to the directorship of Sunrise Tomorrow, Lizbeth Diviney, knowing of Caprice's past in unmasking murderers, asks for her help in finding Wendy's killer, afraid that plans to open the new facility could be held up the longer it takes. Caprice, trying to be diplomatic, tells Lizbeth that she won't interfere in the investigation, but will try and find information useful to the police. I thoroughly enjoyed the book, and Caprice's quirkiness never fails to enchant. She dresses in retro clothing, has a flair for setting the right mood in decor for each individual home, and rescues stray animals. What's not to love? Above all, she has a good heart, and that counts for a lot in most situations. In between her hunting for information, we are also treated to her daily routines: her relationship with Grant, her parents, her siblings, and the possibility of a couple of new relationships looming on the horizon. Then there's a stint on television that brings her local notoriety and more clients than she can count. While there are suspects aplenty, including Lizbeth, Sebastian (Wendy's significant other), or any number of unhappy ex-spouses, sifting through the information to find the truth is a chore. 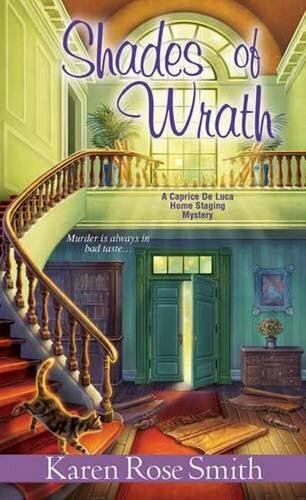 And even when Caprice does glean information and pass it on to the police, there's no guarantee it will bring her closer to finding out the identity of Wendy's killer. Ms. Smith never shies away from social issues, and indeed this book is no different as she digs deep into the realm of domestic abuse; she's done her research well. With its subject, it is darker than many cozies. This book was also a little difficult to read: mainly because I recognized parts of my own past as a victim as well. While I choose not to share any details about my past life, I will tell you that this; unfortunately, no matter what future life you create for yourself, it shapes you as a future being and leaves its mark deep within you. (And if you think that was easy to write, you're wrong - it was one of the most difficult paragraphs I have ever written). When we finally come to the end and the murderer is revealed, it comes as a surprise. 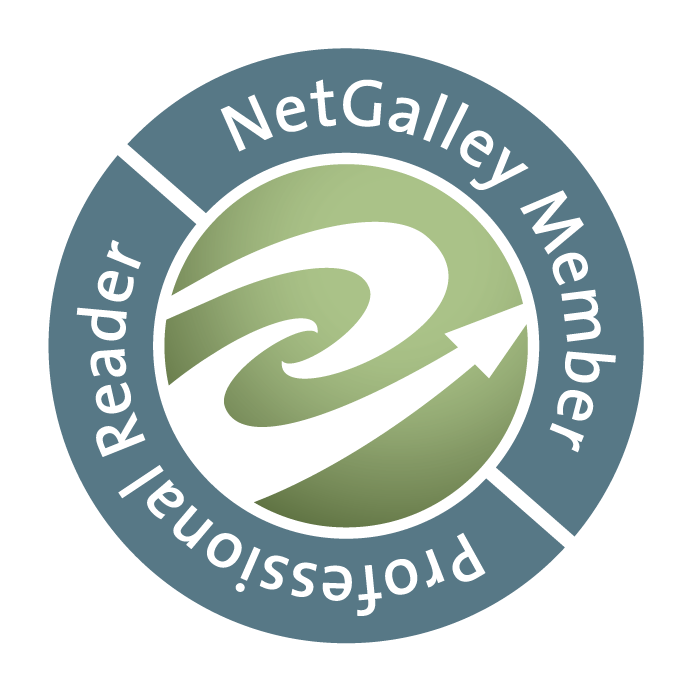 With leads pointing in so many different directions, it took time to figure it out, and that made the book all the more interesting; a very worthwhile read. This is the sixth book in the series but can be read as a stand-alone. We are given enough information on all the characters that one doesn't feel lost reading it or wonder what happened in the previous books (although you will probably want to read them after finishing this one). 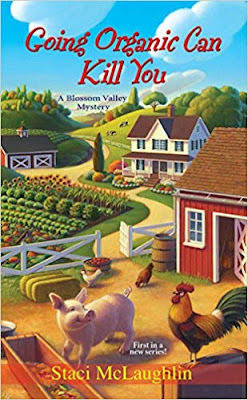 As always, the writing is crisp, the characters fleshed out, the decor appealing, the food delicious, and the animals adorable. I look forward to reading the next in the series. Highly recommended. Rory Chasen, manager of the Lucky Dog Boutique in Destiny, California, hopes her new line of good-luck doggy toys will be a hit, especially the stuffed rabbits with extra-large feet. The timing of the line's debut proves ill-fated, though, as several local shops - including Rory's - are ransacked and vandalized with spilled salt and other unlucky charms. The most likely culprit is disgruntled real estate agent Flora Curtival, whose issues with the town give her a motive. But after Flora is murdered and one of Rory's toy rabbits is found with the body, Rory needs all the luck she can get while trying to determine just who killed the superstitious vandal. Rory Chasen moved to Destiny, California after her fiance Warren stepped under a ladder and was killed. In her grief, she wanted to find some reason why; if there was any truth to the superstition that to do so was bad luck. Destiny, it seems, is a virtual haven of a town for superstitious people. All the shops sell items that are rumored to be lucky, and the inhabitants never miss an opportunity to cross their fingers or knock on wood to protect themselves from bad luck. It's even become a tourist destination due to its reputation. Now Rory's so taken with the town that she's decided to stay. But she isn't happy at the moment because a pushy real estate agent, Flora Curtival, seems to be stalking her, trying to get Rory and her friend Gemma into a new home and out of the B&B in which they currently reside. Although Rory intends to move eventually, she isn't in the market for a new home at present, but Flora won't take no for an answer. Also, while the people in Destiny think it's bad luck to discuss it, Rory learns that several of the local businesses have been vandalized - some of their merchandise has disappeared and unlucky symbols left in place. 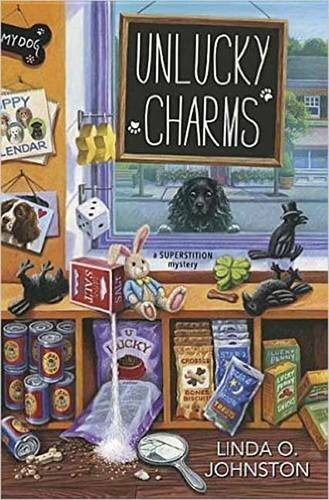 She discovers this first hand when she arrives one morning at the shop she manages, The Lucky Dog, to find that all the new 'lucky dog' merchandise she's designed and just stocked has been stolen, with unlucky symbols such as spilled salt, all over the shop. The premise of this series is interesting, and is why I began reading it. While it makes for an interesting idea - the town of Destiny is full of residents that are truly superstitious - I don't believe it's realistic, at least not to the point that these residents are; they go out of their way to avoid anything that might bring them bad luck, and everything Rory thought came back to a superstition, even as she was proclaiming that she wasn't sure she believed in them or not. However, this was a quick, enjoyable read that had a steady flow and I was able to finish it in one sitting. Everything came together nicely at the end, and it was completely satisfactory, making for a decent mystery. Recommended. Hermit Jesse Lockhart lives alone on King's Island, three miles east of Haven Harbor, Maine, where he's created a private sanctuary for the endangered Great Cormorants. But when a wealthy family wants to buy the island and Jesse's cousin Simon petitions for power of attorney to force him to sell, Jesse is the one who becomes endangered. Angie Curtis has recently returned to Haven Harbor, Maine from Arizona, where she worked as an assistant to a private investigator. She's currently living in the home where she grew up, once belonging to her grandmother, who has recently married the local pastor. She's also inherited the running of Mainely Needlepointers, a business her grandmother began with other Mainers. One morning while watching the boats in Haven Harbor, she sees a small skiff enter the harbor and its lone occupant walk toward town. Angie, her curiosity getting the better of her, eventually finds out a little about him from Dave Percy: his name is Jesse Lockhart, he lives alone on a local island, but Dave won't tell her any more, so she decides to drop the subject. When Angie and another needlepointer, Ruth, are having dinner at Dave's home the next evening, Jesse shows up unannounced and nearly frantic. 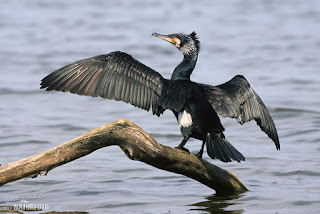 He tells them that someone said he had to sell his island, which will also disturb the nesting grounds of the Great Cormorant, which is a threatened species. It seems that the island was left to both Jesse and his cousin Simon, and Jesse fears that Simon wants to sell and will force him to do so also. buy it to build a home. But when Angie and Dave go to the island to warn Jesse about something they discovered, Jesse, not recognizing Dave right away, shoots him with an arrow, and Dave has to be taken back to the mainland immediately for treatment. 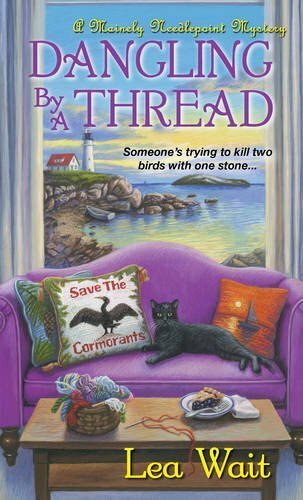 This is the fourth book in the Mainely Needlepoint series, and the needlepointers (Angie, Anna, Dave, Ruth, Sarah)are back again. When they are told of the trouble regarding Dave, Jesse's only friend, they band together in a campaign to save the Great Cormorants, a threatened species. 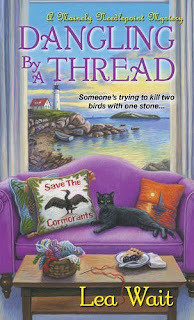 But they also find that not everyone thinks the birds are worth saving - others thinking they could just as easily find nesting grounds elsewhere - including Gram's new husband, Reverend Tom, who believes an influx of wealthy residents could be good for the town and with the everyone divided, Angie will have to be careful in her questioning if she isn't to raise suspicions. I enjoyed reading this book so much that I read it in one sitting; the mystery was well-written and the pieces were woven nicely together, giving the characters more depth than they had in previous books, which is always nice to see. I do love the descriptions of the Maine coast; the harbor, the boats, the sea air; it really makes me want to make a trip Down East, and soon. This book is more about others pitching together when a tragedy strikes, but I didn't feel it detracted at all from the murder. When we finally find the identity of the killer and the reason that Jesse was murdered, it all seems so sad, somehow; convoluted beliefs that led to murder. However, it gave a satisfying ending to the book, and I look forward to reading the next in the series. Recommended. Haunted Houses are scary enough without knife-wielding clowns. Especially murderous knife-wielding clowns. So thinks Ellison Russell, single mother, artist and reluctant sleuth. Now death wears a red nose and Ellison is up to the blood-stained collar of her new trench coat in costumes, caffeine, and possible killers. Who stabbed Brooks Harney? And why? Money? Jealousy? Drugs? With Mother meddling, her father furious, and her date dragged downtown for questioning, turns out Ellison's only confidante is Mr. Coffee. Ellison Russell is a widowed artist who lives in a suburb of Kansas City and belongs to the wealthy Country Club set of the 1970's. One night around Halloween her daughter Grace doesn't come home from an outing to a haunted house with friends, so she decides to go look for Grace herself. But during her excursion into the frightful place, she comes across a clown holding a bloody knife, who not only stumbles toward her, but appears to know her, calling her name and asking for help. When he collapses in front of her, the knife falling from his hand, it is only then she realizes that he is dying. Glancing up, she sees another clown, also armed, and he is heading her way. She is saved only by a group of girls who have entered the haunted house, and makes her way into the center of the circle, thereby saving herself. Shaken, she calls Detective Anarchy Jones, who believes her even when they return to the room and find no body. But it is only a day or later when the body of Brooks Harney is discovered floating in a river. Brooks, it seems, is the lost black sheep of a wealthy local family who has apparently given him up ever since he became hooked on drugs and stole jewelry from them. What Ellison soon finds out, however, is that Brooks was apparently turning his life around - intending to graduate college and go into social work when he was killed. But who wanted him dead, and why? That, literally, is the million dollar question. Was it his brother Robbie, who wanted nothing to do with him? His mother, who blames him for another child's death? His apparent widow, who wants his inheritance? Or someone else who just hasn't been discovered yet? While Ellison is trying to stay away from the situation it isn't easy - especially when three blood spattered business cards were found in the pocket of the trench coat she was wearing at the time - and one of them belongs to Hunter Tafft, an attorney who is also a trusted friend and suitor. When Ellison realizes that Brooks must have put the cards in her pocket when he fell on her, she chooses to keep Hunter's card - turning the two others over to Detective Jones. Yet there are more surprises in store: when Ellison attends the Brooks' funeral, she discovers that the young man had a wife, a shrew named Stormy who is intending to stick around until she receives a supposed inheritance, and is under the mistaken impression that Ellison can obtain it for her; Ellison's father is having a rare argument with her (he thinks she needs a man to manage her) that has her wound up; her mother tells her with a change of attitude she can avoid finding dead bodies; and Anarchy Jones and Hunter Tafft are in fighting form as they vie for her attentions. Once again, Ms. Mulhern has given us another delightful entry in this series; and just as delightful is the fact that the books keep getting better every time. The characters keep evolving, as well they should, and we learn more about them with every volume. In fact, it is a testament to the writing talent of Ms. Mulhern that her characters are so believable that even I would have a hard time choosing between either Tafft or Jones - but it sure is fun trying to figure out which one she'll eventually end up with - and even if it isn't doing her insides and her brain any good at all to waffle between them, I love reading about it. As always, when the murderer is finally revealed and the questions are all answered, it comes a surprise, amid quite a clever plot. There are hints throughout, but hidden nicely and not easy to find, which gives us a very good mystery indeed. Highly recommended. A lost work of art linking India to the Italian Renaissance. A killer hiding behind a centuries-old ghost story. And a hidden treasure in Italy's macabre sculpture garden known as the Park of Monsters...When Jaya's old professor dies under eerie circumstances shortly after discovering manuscripts that point to a treasure in Italy's Park of Monsters, Jaya and her brother pick up the trail. 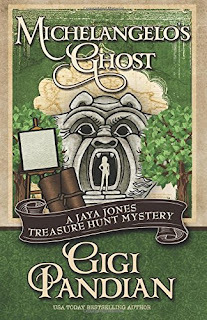 From San Francisco the heart of Italy, Jaya is haunted by the a ghost story inexorably linked to the masterpieces of a long-dead artist and the deeds of a modern-day murderer. 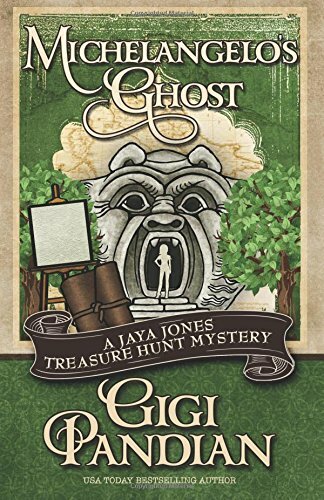 Untrustworthy colleagues, disappearing boyfriends, and old enemies - who can Jaya trust when the ghost wails? History professor Jaya Jones is preparing for finals week at university when she receives a cryptic email from her ex-mentor, Professor Lilith Vine. Lilith, it seems, isn't highly thought of in the academic world - she had an early historical discovery when she was in her twenties and has been chasing the ghost ever since trying to recreate that notoriety - but it backfired when she continued to seek out fame and glory; two things that never again materialized in her career. When she left the university for a smaller one, she wanted Jaya to go with her, but Jaya listened to other faculty and turned her down, leaving her feeling guilty about the encounter. Now, though, she believes the least she can do is visit Lilith and find out what all the secrecy is about. When she arrives at Lilith's home, she finds nothing much has changed - Lilith, you see, is a functioning alcoholic, and Jaya is skeptical about the story she's telling her regarding a Renaissance painter's hidden artwork - until she sees the sketchbooks. Sketchbooks from the 16th century, written in the hand of Lazzaro Allegri, an artist who may have been Michelangelo's protege. Lilith, who is not in good health, traveled to Italy to discover more information and has passed what she has learned onto Jaya, in hopes that she will continue to find the truth: that Lazzaro traveled from Italy to India and applied Renaissance painting techniques to Indian subjects. What Lilith wants her to do is travel to Italy and try to find Lazzaro's hidden studio, and hopefully what remains of his artwork. Jaya, of course, agrees to go once she sees the sketchbooks and other information Lilith has gathered. But she's not going alone...her brother Mahilan "Fish", has arrived in San Francisco to visit her with his new girlfriend Ava in tow, and they've decided to take the vacation with her. Their destination is Bomarzo, Italy, to the Park of Monsters, where the studio is supposedly hidden. The Park of Monsters (very real) was created by an Italian in honor of his late wife (although I don't believe I'd want such an 'honor' created for me) and from what Lilith has already discovered, is where the studio is hidden. But finding the treasure - if it exists - isn't going to be easy. The park has been transformed into an an amusement park of sorts, so getting into it after hours might be tricky. Then there's the legend of the ghost that haunts the grounds - when it rains, you can hear the wails of an Italian woman who mourns the loss of her dead husband; so much so that the locals believe the history and refuse to go anywhere near where the ghost walks. But when Jaya, Mahilan and Ava hear the wails themselves, they're not so sure the legend isn't true. It also doesn't help that Jaya hasn't been able to reach Lane and let him know where she is, and she discovers there's a fourth sketchbook, but it too has disappeared. With two disappearances, the appearance of an elusive thief and a ghost warning them away from the area, Jaya still remains determined to find the hidden studio. But when the stakes are raised and it seems that there's a killer on the loose, a killer who might have murdered Lilith Vine and now be after Jaya, just how far will she be willing to go to find an elusive treasure? Ms. Pandian has once again given us a fascinating tale. Michelangelo's Ghost is full of adventure and intrigue, carrying us to the small town of Bomarzo in central Italy, to the fantastical Park of Monsters and blended it with a fictional story of a wailing ghost that haunts the park and lost art; it is masterful and compelling and pure delight to read. Her characters are fleshed out and highly believable, her mixture of historical fact and fiction is superb, and, as in all good mysteries, the further we get into the tale, the more the suspense grows. As always, Ms. Pandian does not disappoint; she is a writer who knows her craft well and is able to spin a tale that pulls one in immediately and keeps them entertained throughout. When we reach the end of the tale, everything falls into place, as well it should. There was indeed a murderer, and not one that would have been suspected under any circumstances, giving us a satisfying end to a highly realistic mystery. Highly recommended. Liz McCall grew up in a playful winter wonderland but it was never her dream to manage her father's vintage toyshop. However, after he sank his entire police pension into the business, someone needed to help him turn his dreams into reality - and keep him from sneaking off to patrol the not-so-mean streets of East Aurora, NY. The mood goes from nice to naughty when a nervous man, who was trying to have his antique toys appraised, is found in the shop with a lawn dart through his chest. Suddenly, Liz's business plan is plunged into deep freeze, while she and her father find themselves toying with a cold-blooded killer who's playing for keeps. Now, it looks like Christmas might be cancelled for the neighborhood kids if Liz can't wrap up the case. Liz McCall is gearing up for the holidays, working in the toy shop her father owns, Well Played. Her father Hank is the ex-chief of police of East Aurora, New York; having had to retire due to a near-fatal gunshot wound. This, however, hasn't kept him from his habit of occasionally sneaking out to maintain law and order in their small town. So much so, that the new current chief of police, Ken Young, has deputized him. One evening a nervous stranger arrives bearing an old cardboard box of vintage toys, asking if he can get an appraisal. When it's discovered Hank has sneaked out once again, Liz convinces the man to leave the toys for her father, who can assess their true worth. Several nights later Liz is awakened in the middle of the night by the sound of a crash coming from the store, which is below the apartment she and her father reside in. When she goes to investigate she finds her father, disoriented and stumbling, with blood on his head and discovers a gruesome sight: the dead body of the man who had brought the toys to them earlier - stabbed with one of their own lawn darts. To make matters worse, the box of toys seem to have disappeared from the store. But identifying the man isn't going to be easy, since he was found with no identification and other problems arise that make it difficult. Questions abound, including the fact that it appears her father didn't even know the man, and not the least withstanding of why her father was meeting with him in the late evening hours. Knowing her father's innocence, even if Chief Young may think he's suspect, Liz is determined to prove this fact by whatever means possible. 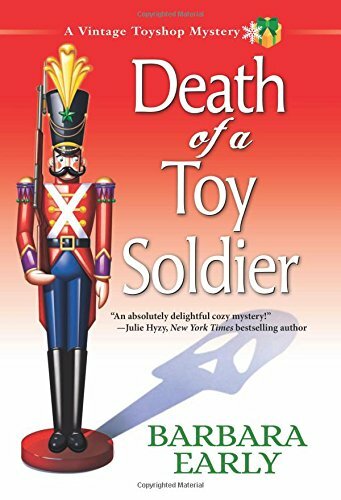 When they are finally able to identify the man they also find his employer, the the true owner of the missing toys - yet he, too, is recently deceased, and this only complicates things - because now her ex-boyfriend, Jack Wallace becomes involved, since the second dead man was his uncle and it leads to even more questions. Why did the man killed in their shop have the toys in the first place? What a delightful introduction to a new series. Liz McCall is a level-headed, thirty-something woman who moved in with her father to care for him after his accident and stayed on to manage the toy shop her father owns. She's joined by her sister-in-law Cathy, who writes bad poetry and can't cook, but has a good heart and only wants the best for Liz; and I found the scene where Liz and her father are discreetly trying to 'dispose' of Cathy's experiments in the kitchen quite humorous. We are also given some of Liz' and her brother Parker's background: growing up with a police officer father, who was absent at times, and an alcoholic mother, which explains why Liz is so protective of her dad. Then there is Jack, her ex-boyfriend who seems to want to be a part of her life again, and Chief Young, who also appears to be intrigued by Liz. It will be interesting to see where this takes the story line in future books. (It must run in the family because her father is no slouch in this area, either). 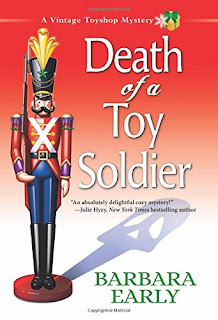 The plot was different and quite involved: a dead man who wasn't who he said he was, a box of missing toys, greedy relatives, ghost hunters, and no lack of suspects with possible motives. It gives a whole new meaning to the idea of people fighting over toys, and this time someone comes to a deadly end. When we finally discover the identity of the killer, it comes as a bit of a surprise, but that's what a mystery is supposed to be all about. The ending is gratifying and it makes sense, leaving no unanswered questions. I thoroughly enjoyed reading this book and look forward to the next. Highly recommended.